Regardless of who you are, whether you loved the movie Batman V Superman: Dawn of Justice or hated it, there is no denying the fact that Batman has some of the coolest toys on the block. 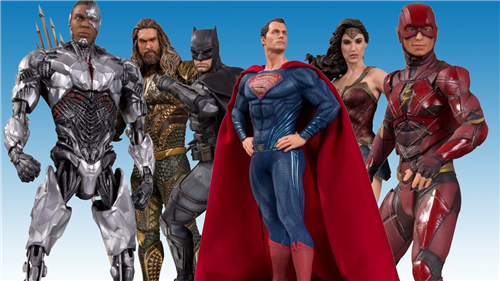 Justice League, the upcoming sequal, has promised to raise the bar for caped-crusader gadgetry and turn the batmobile into the ultimate superhero vehicle – and Mattel is behind it all. At the toy fair this year (2017), which was held in New York, Mattel’s fully loaded Batmobile/Justice League Ultimate Batmobile was introduced to the crowd. If you didn’t get the opportunity to see it, you really missed out on something cool. However, that is okay, because we are here to tell you what we know about Justice League Ultimate Batmobile. Yes, Mattel is a company that is known for making kid’s toy, but this fall, they will be offering something that is a bit more mature. In time for the new “Justice League” movie, Mattel will be releasing the Justice League Ultimate Batmobile that will retail at $249. 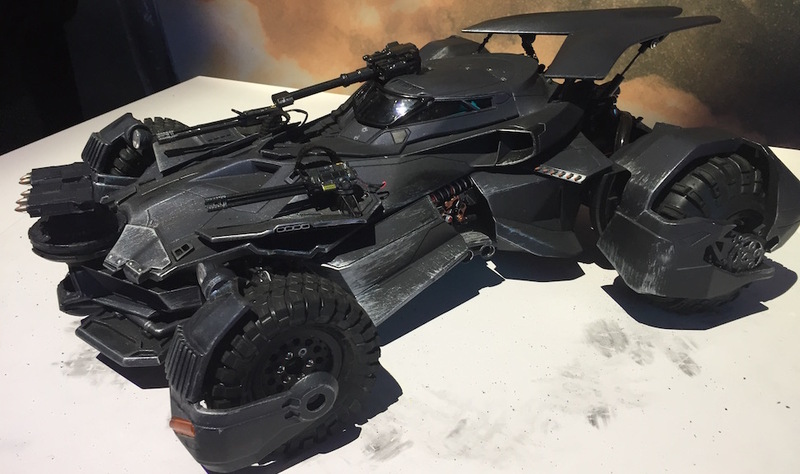 Yes, we know, the price is pretty high, but don’t look at this as if it is just another high-priced model of a car – it is pretty cool …from what we have seen, it really is the ultimate Batmobile as it is packed with a whole lot of awesomeness. We feel that you should know that this Batmobile is based on the design from Bathman vs Superman: Darn of Justice. It even has a six-inch replica of Batman inside it. So, when you buy this, you are basically getting yourself a miniature tank. The details are so good that when we looked at the batsuit, we could actually see the fine etchings. There were even spots where the Batmobile’s paint was rubbed off – this replicates the wear and tear that it goes through and boy does it go through some wear and tear. Personally, to be honest with you, we could have spent hours just looking at the nooks and crannies of the Batmobile …it’s more than a model, by the way. 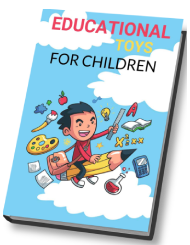 When you play with this bad boy, you will be able to control it with a tablet or a smartphone. So, you can take the Batmobile for a spin when you feel the need to. As you drive the car from your tablet or smartphone through the mean streets of Gotham AKA your living room, you can see Batman’s hands turning the steering wheel (that is a pretty good added effect). If you look closely, you will see the dashboard lighting up as it corresponds with the action. You will also have the ability to fire the top-mounted cannon as well as the front-mounted rockets and control the headlights. This beast even has hydraulic controls and a faux exhaust system that is complete with white smoke when you peel out. Here’s something that is even better – it has an embedded camera, so you can get a “bat’s-eye” view of what Batman comes across. You can share these exploits on Snapchat or any social networking site you want. If you are a fan of Batman and you have always wanted to own the Batmobile, this is probably as close to the Batmobile you’re going to get. With this, you can at least pretend you’re driving down the streets of Gotham.